The Xpect powered website offers a stack of advanced e-commerce features, out-of-the-box. A scalable, customisable, feature-rich solution that makes e-retail and online merchandising easy. Conversions come from providing consumers with an online shopping experience they've grown to expect. With the power of Xpect at your fingertips, you can give them what they want. Xpect now provides an optional fully automated eBay integration module which makes it easier than ever to start selling goods on eBay. Publishing individual stock items to eBay as individual listings. Publishing master stock items on eBay as multi-variant listings. Synchronising available stock quantity levels with eBay. Ending listings on eBay when an item is sold out. 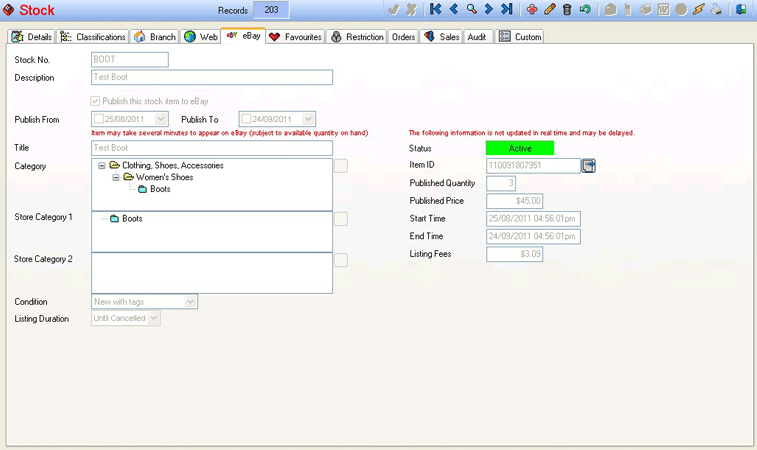 Creating orders in Xpect when an item is purchased on eBay. 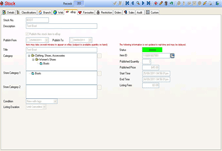 Creating a payment in Xpect when a PayPal payment is received for an order on eBay. Marking an order as shipped and providing the tracking number on eBay when the order is despatched from Xpect. Leverage the power of eBay, the world’s biggest shopping mall, without the hassle of duplicate e-merchandising and manual inventory adjustment across multiple systems. With Xpect, your e-commerce web site is simply an extension of your business. All product information, inventory levels, and pricing are handled seamlessly in conjunction with your retail/POS activities, and you don't need web or HTML skills. Reduce your workload. Xpect CMS features an optional Member Portal where customers can view their account history online, make payments, download product information sheets, check their order status, manage e-news subscriptions, update contact and billing details, and more. Xpect gives you room for detailed product descriptions or customer generated reviews. Built-in merchandising features allow for multiple images at different resolutions (thumbnail, medium, full size), automatically generated from a single high resolution image. Display an auto-generated list of best selling items for the past week, or month, or any time period you specify. Configuration is in your hands. You’re not bound to any download or bandwidth limits, either. List as many products online as you like! Create special offers and product discounts to display on your web store for a limited time. Just set the start date and finish date for special pricing to be applied. Product cross-selling enabled with ‘related items’. Setup multiple membership rewards programs. Configure any number of contact filters for highly targeted email campaigns. Automates tax rates, and shipping estimates. Seamless integration with your eBay store.